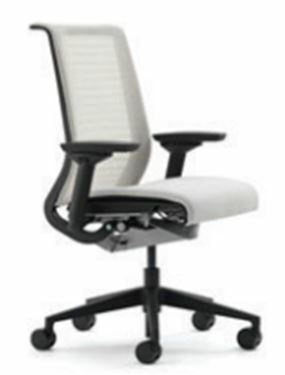 •	This is an adjustable chair but limited cushioning on seat and back with plastic frame so some users do not find it comfortable enough. •	Good for smaller users as seat pan adjusts very short and chair goes slightly lower than some others. •	Fits a wide variety of people because seat pan is wide (although armrests adjust in) and 3” seat slider range.